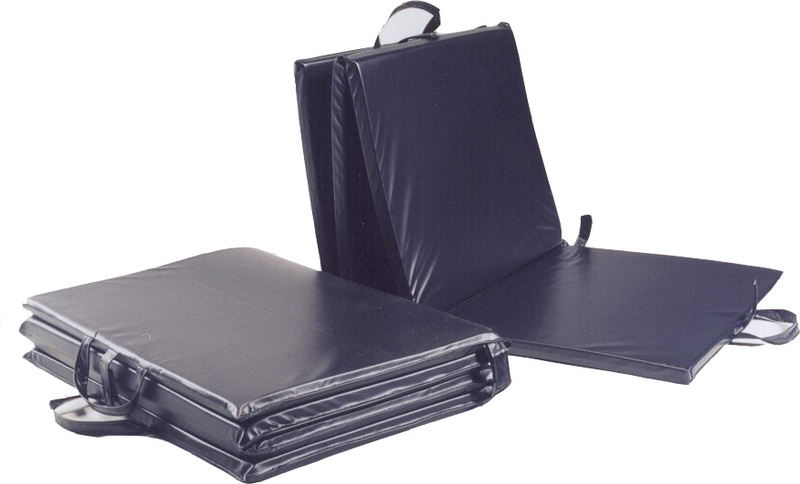 BCM-1 Filled with high density foam, this mat folds up to 18" x 24" with handles to make carrying it easy. This mat is covered in black vinyl. Dimensions: 24" x 72" x 1"